This project solved dangerous flooding and erosion issues along Battle Creek. Funding sources Funding for the 1981-82 project was provided by the sale of general revenue bonds by Ramsey County. The 1995-96 repair project used District funds. Battle Creek was a major project that spurred formation of the Ramsey-Washington Metro Watershed District. 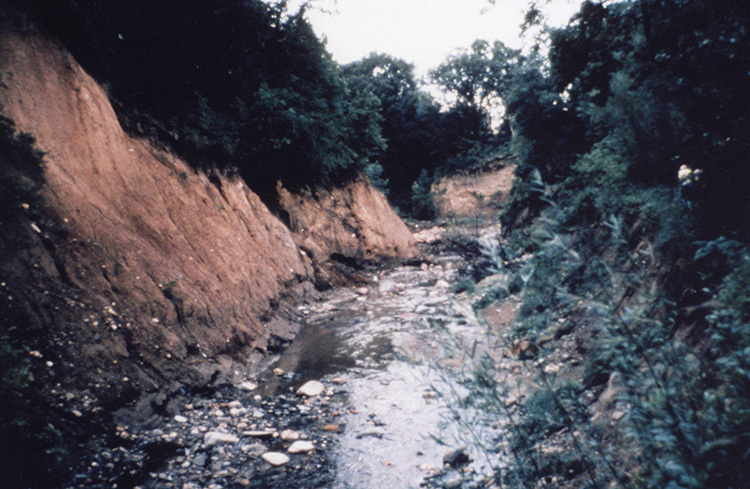 A Joint Powers Agreement was begun in the early 1970s to develop a solution to major erosion and flooding problems along the creek. 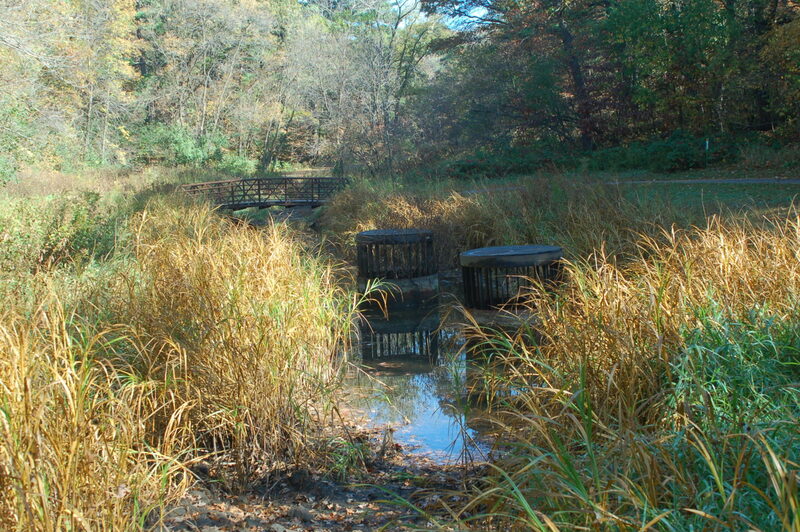 When the three cities and two counties could not come to an agreement, Ramsey County petitioned for the formation of the Watershed District in 1975. Battle Creek Park was closed to the public in 1978 due to severe erosion and dangerous flash flooding. This project was the major focus of the District Board until its completion in 1982. The project included work on approximately three miles of creek through the cities of Maplewood and St. Paul. Work on the upper two miles included installation of sheet pile drop structures and creation of a major flood detention basin known as McKnight Basin. The detention basin is on park land, and during normal flow periods includes three ponds with trails and a picnic pavilion. 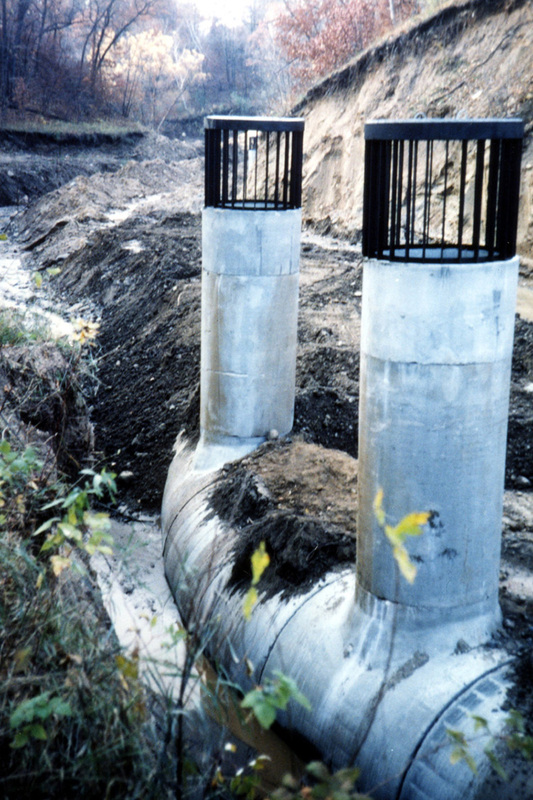 The downstream mile of the project (through a steep ravine) involved the installation of a flood flow pipe that routes damaging flows underground to avoid surface erosion. The project installed a new surface creek that carries only a portion of the total flow. The project has performed as designed. It has prevented further erosion of the lower ravine area and allowed the County to install a trail system and reopen the park to public use. It has required routine maintenance of trash racks and excavation of accumulated sediment in the upstream ponds. 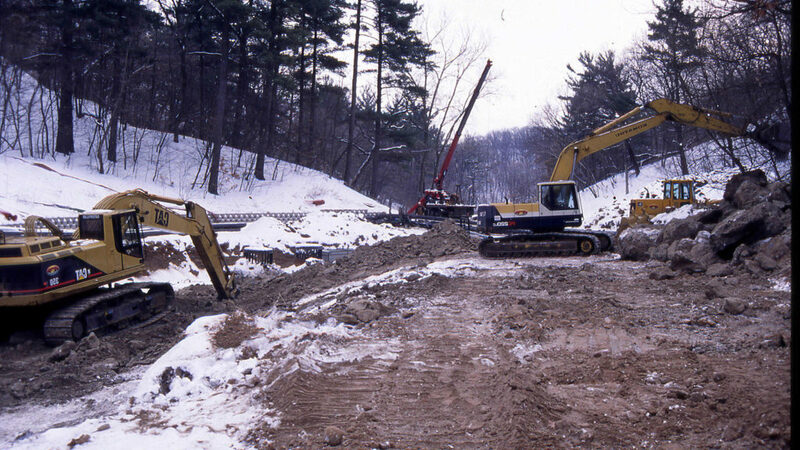 In 1989, the District had to open a section of the pipe to repair joint separations. During an inspection of the project in the fall of 1994, staff discovered a small sinkhole near the creek. Inspection revealed several pipe joint separations, and after reviewing several options, the Board decided to excavate and replace a 150-foot section of the underground pipe. The pipe was reconstructed and slightly realigned to correct foundation problems and complex hydraulics that contributed to its failure. Construction occurred during the winter low-use months for the park, and the site was restored before summer. In the winter of 2015-16, District and engineering staff completed a thorough interior inspection of the Battle Creek pipe system, along with the nearby Beltline Interceptor system. Several maintenance and repair recommendations were made, and we have begun a major project to complete those repairs in 2018.